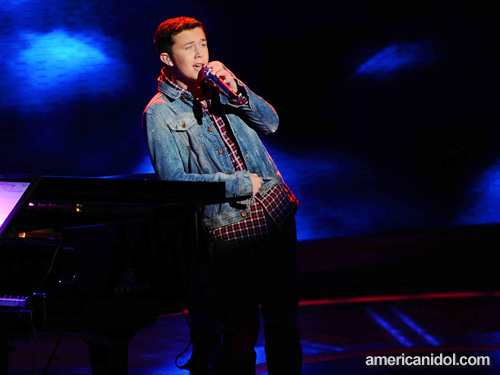 LOS ANGELES Scotty McCreery won the "American Idol" battle of the fresh-faced country crooners Wednesday, pulling more of a record 122 million-plus viewer votes than competitor Lauren Alaina. After Scotty McCreery and Lauren Alaina performed three songs each on the first night of the American Idol finale on Tuesday, Jennifer Lopez summed up the competition: "It's a tight race," she said. "America has their job cut out for them." Now that job is done. The votes – 122 million of them, a new Idol record – are in and after a star-studded spectacular, host Ryan Seacrest announced the season 10 winner. The winner is Scotty McCreery! "It's been a year since me and Lauren Alaina tried out now," Scotty said in apparent disbelief. "We've been together since day one and we're going to stay together. This is just – never in my wildest dreams ... I got to thank the Lord first. He got me here." 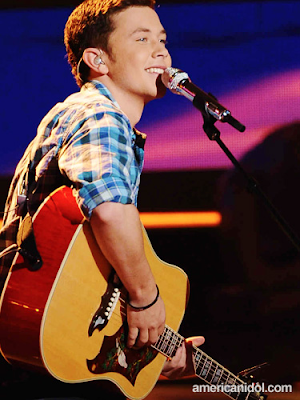 Scotty is an Idol first, a deep-voiced country traditionalist. Even though he's only 17, he's preternaturally good. I think the soul of Jimmie Rodgers or some other Nashville legend entered his body at birth. 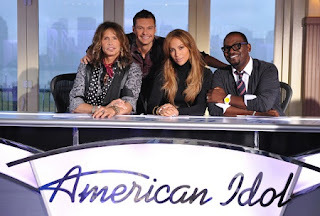 In a sense, this revised season, with the addition of Jennifer Lopez and Steven Tyler to the judges' panel, encouraged the emergence of someone other than just a big, middle-of-the-road pop star. The judges pointedly avoided stressing the need for a singer to provide what Simon Cowell always referred to as "the whole package" – they even encouraged Casey Abrams to do that multi-tenacled, lounge-jazz thing of his. And producer Jimmy Iovine tended to hone in on each singer's particular leanings and strengths – there wasn't as much pressure this time to prove crossover potential. If a singer came in knowing his particular leanings, as Scotty surely did, he'd go far. Lauren was a country performer at heart, as well, but she was also the more traditional Idol contestant, with a voice full of the lyrical yearning made for old-fashioned pop ballads. Her final performance, a song called "Like My Mother Does," seemed almost calculated to draw Idol viewers to her side with its emphasis on heart-tugging emotion and motherhood. And there was much talk of that important Idol theme, her "journey." But voters weren't interested in that this season – they went with the astonishingly consistent Scotty, who started his journey on Idol already fully formed as a performer. Before the announcement, there were nearly two hours of airtime to fill with music and distraction. That included Steven singing the Aerosmith classic "Dream On" and Lady Gaga – in a sublimely nutty moment – ending "The Edge of Glory" by jumping into a fake volcano. And, in Idol tradition, the season finalists all returned, often paired with major stars. James Durbin got his supreme metal moment, leathered up and singing "After Midnight" with Judas Priest. That was a bit scary. 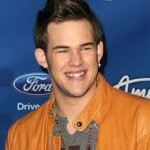 Jacob Lusk sang "I Smile" with gospel star Kirk Franklin and Gladys Knight. Much nicer. Casey Abrams was joined by Jack Black, a good musical performer who's even better at sending himself up, for the schlock-rock classic "Fat Bottomed Girls." Haley Reinhart and Tony Bennett made a snazzy duet of "Steppin' Out With My Baby." Lauren and Carrie Underwood sang "Before He Cheats." I assume her vocal problems Tuesday didn't contribute to her loss, but her voice sounded much more guarded on Wednesday night's show. And American Idol winner-to-be Scotty and Tim McGraw paired up for "Live Like You Were Dying." Scotty's so young he made McGraw looked like Robert Duvall. 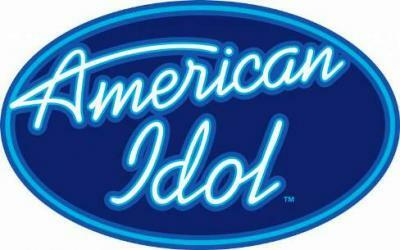 Thanks American Idol for a great season of entertainment!